Born with a passion for all things mathematical, Dr. Breslin’s professional career started at age seventeen at NASA’s Jet Propulsion Lab. A year later, she was encouraged to spread her wings and headed to Revelle College at UCSD. While enrolled in pre-med studies, Dr. Breslin continued to expand her knowledge of math and physics. But, an auto accident during her sophomore year left her with a brain injury and only limited capacity to comprehend the complexities of math and physics. Trying to utilize her remaining skills, she changed her major to Psychology and graduated a year later with a B.A. At Northwestern University, she earned a Masters and a Doctorate in Counseling Psychology. She is licensed as a Psychologist in Tennessee, Georgia and California. In addition, after five years of working as a Psychologist, Dr. Breslin enrolled in training as an Intuitive Consultant. She studied and apprenticed for ten years in Energy and Vibrational Medicine, Aromatherapy, and Toltec wisdom. In 2004, Dr. Breslin earned her certificate in Integrative Medicine from Harvard Medical Center, and in 2010, she became an Ordained Minister. 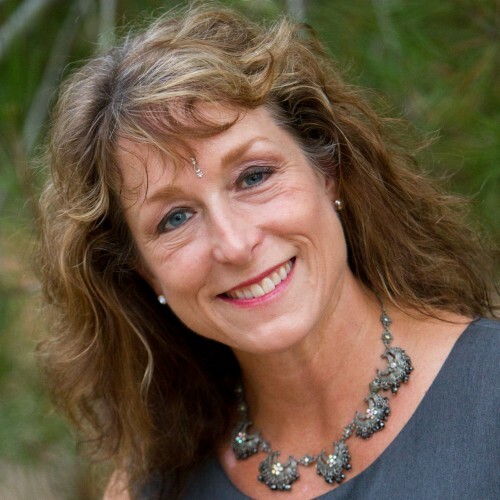 Dr. Breslin is a highly-respected psychologist known nationwide for her innovative approach to trauma recovery, focusing on the integration of mind, body and spirit for the resolution of painful experiences. Additionally, her work as a Transformation Coach has facilitated thousands of breakthroughs resulting in deeply enhanced personal and professional experience and performance. Dr. Breslin is an avid speaker and a prolific writer. Not only has she authored many online continuing education courses and hundreds of articles and chapters, she is also a contributing author for the Chicken Soup for the Soul series. She has also written five books, the most recent of which are Daily Pearls: 365 Days of Sage Wisdom and Breaking Through: A Conscious Leader’s and Entrepreneur’s Guide to Amplify Intuition, Clarity, Vision, Motivation and Productivity. Breaking Through: The Conscious Leader's and Entrepreneur's Guide to Amplify Intuition, Clarity, Vision, Motivation and Productivity became a best-seller in less than 24 hours! Daily Pearls: 365 Days of Sage Wisdom is an eternal calendar book designed to inspire, motivate, and invigorate its readers. Each day begins with an uplifting quote and is followed by stories, musings and meditations to promote well-being throughout the day. Lovers & Survivors: Living with and Loving a Sexual Abuse Survivor should be an integral part of any complete treatment program for sexual abuse survivors and their loved ones. Partners, relatives, and friends of sexual abuse survivors, sexual abuse survivors, health professionals, and educators, will find this book of value. Finally, a book designed with unique issues of partners in mind! The Secret to Conception enables readers to understand that successful conception lies in your relationship with something far more significant than your fertility specialist. The secret to conception lies in your connection with mind, body, spirit, and partner. The secret to conception lies in the phenomenal power of your stated intention. The Secret to Conception Workbook comes with easy to complete exercises and an Audio MP3 to facilitate insight into challenges affecting your ability to conceive. The Daily Point of Light Award was awarded to Dr. Breslin on September 28, 2011 for her selfless and tireless work with combat veterans struggling to recover from Post-Traumatic Stress Disorder. Find out more about Dr. Sage Breslin at http://www.SageWisdomInstitute.com.